State football leagues in Brazil are football competitions competed for in the States of Brazil. 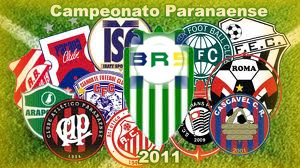 One such league, the Campeonato Paulista which started in 1902 is the oldest football competition in Brazil. Due to their long tradition, they are highly regarded, and are almost as important as the Campeonato Brasileiro Série A. Historically, because of economical or geographical issues, the long distances between important cities of the country made the Brazilian people develop a strong competitive culture within the states. So, each Brazilian state has its own state championship. As of 2009, most of the state championships start in January and conclude in early May (23 dates assigned to matches). Due to these competitions, some matches between rival clubs of the same state or city have a similar or bigger importance than an interstate match between two important clubs. These local matches are called clássicos (classics, or derbies). Some examples are Fla-Flu, in Rio de Janeiro, Corinthians-Palmeiras in São Paulo, Atlético-Cruzeiro in Minas Gerais, Naútico-Sport in Pernambuco, Gre–Nal in Rio Grande do Sul, Atle-Tiba, in Paraná etc. The state champions and, in some states, the runners-up, are automatically qualified to play in the following year's Copa do Brasil. Also, the best placed clubs of each state which are not competing the Campeonato Brasileiro Série A, Série B or Série C qualify to the same year's Série D.
per year and 3 cups script format [CUP]. It connects the state, script format [LEAGUE] (State Championship) in January, February, March and April. There is a script that was used to include a club into two leagues, worked fine until the Fifa Manager 11, No 12 does not work properly. this is possible with some script still in Fifam 2012 or 2013?? I had never make a script like that. Could you send to me the script FM11 working ? It help me to understand. 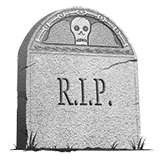 Horhgh a écrit : I had never make a script like that. Ok, send the script files soon. with state championship and national championship. "Competición","Brasil BR5 - Série A","Brasil BR5 - Série A","Brasil BR5 - Série A","Competición","Competición"
"Competición","Brasil BR5 - Série B","Brasil BR5 - Série B","Brasil BR5 - Série B","Competición","Competición"
"Competición","Brasil BR5 - Série C","Brasil BR5 - Série C","Brasil BR5 - Série C","Competición","Competición"
"Competición","Brasil BR5 - Série D","Brasil BR5 - Série D","Brasil BR5 - Série D","Competición","Competición"
"Competición","Brasil BR5 - Série E","Brasil BR5 - Série E","Brasil BR5 - Série E","Competición","Competición"
"Liga Amadora Nacional","Liga Amadora Nacional","Liga Amadora Nacional","Liga Amadora Nacional","Liga Amadora Nacional","Liga Amadora Nacional"
"Serie Ouro - Estadual PR","Serie Ouro - Estadual PR","Serie Ouro - Estadual PR","Serie Ouro - Estadual PR","Serie Ouro - Estadual PR","Serie Ouro - Estadual PR"
"Serie Prata - Estadual PR","Serie Prata - Estadual PR","Serie Prata - Estadual PR","Serie Prata - Estadual PR","Serie Prata - Estadual PR","Serie Prata - Estadual PR"
"Serie Bronze - Estadual PR","Serie Bronze - Estadual PR","Serie Bronze - Estadual PR","Serie Bronze - Estadual PR","Serie Bronze - Estadual PR","Serie Bronze - Estadual PR"
"Amadora Metropolitana","Amadora Metropolitana","Amadora Metropolitana","Amadora Metropolitana ","Amadora Metropolitana","Amadora Metropolitana"
"Competición","Suburbana Super Liga","Suburbana Super Liga","Suburbana Super Liga","Competición","Competición"
"Competición","Sub Campeonato Ctba","Sub Campeonato Ctba","Sub Campeonato Ctba","Competición","Competición"
"Eixo Rio-São Paulo","Eixo Rio-São Paulo","Eixo Rio-São Paulo","Eixo Rio-São Paulo","Eixo Rio-São Paulo","Eixo Rio-São Paulo"
"Acesso Eixo Rio-São Paulo","Acesso Eixo Rio-São Paulo","Acesso Eixo Rio-São Paulo","Acesso Eixo Rio-São Paulo","Acesso Eixo Rio-São Paulo","Acesso Eixo Rio-São Paulo"
"Liga Amadora Minas","Liga Amadora Minas-Semi PRO","Liga Amadora Minas","Liga Amadora Minas Semi PRO","Liga Amadora Minas","Liga Amadora Minas"
ok, i'll have a look next week, and see if i can find a solution.